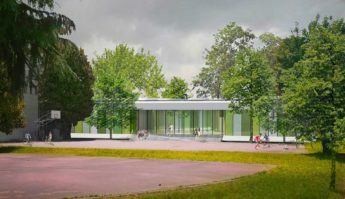 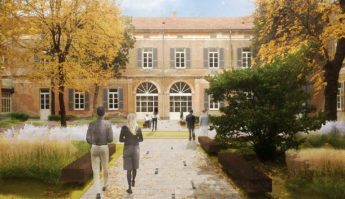 The project treat an urban mending as well as an extension of the ambitious school complex named in honour of the famous chemist and physicist Avogadro in the post-war period. 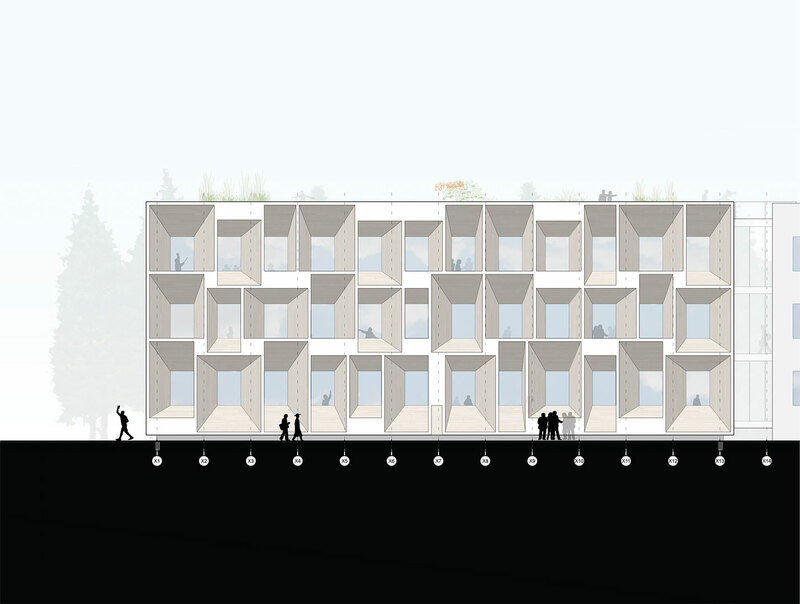 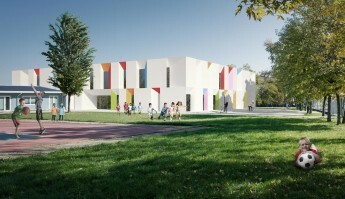 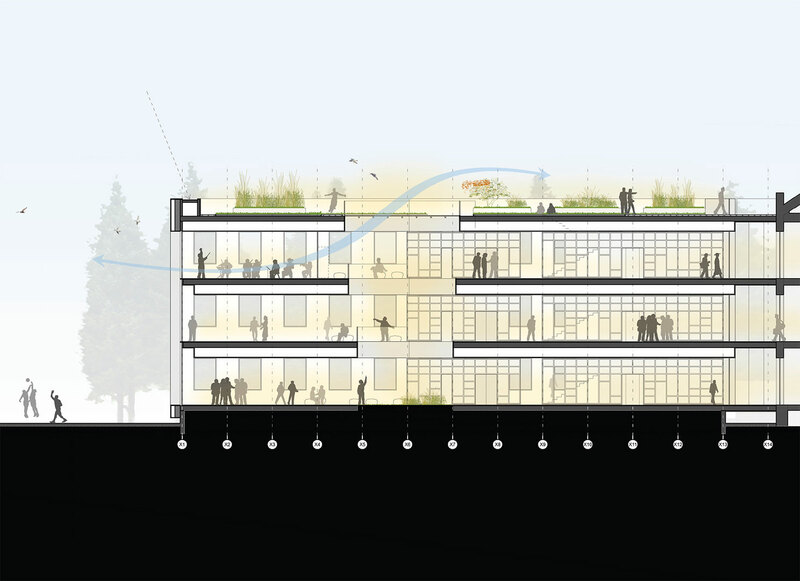 The new building presents the same proportions and the same window rhythm of the neighboring existing building, reinterpreting it in a contemporary and sustainable key: windows gain wide splayings to maximize the light inside classrooms and the views on the surrounding landscape; its ecological nature is manifested by making visible the innovative wooden structure; the roof, left free by conditioning plants, is made available to students as an educational garden. 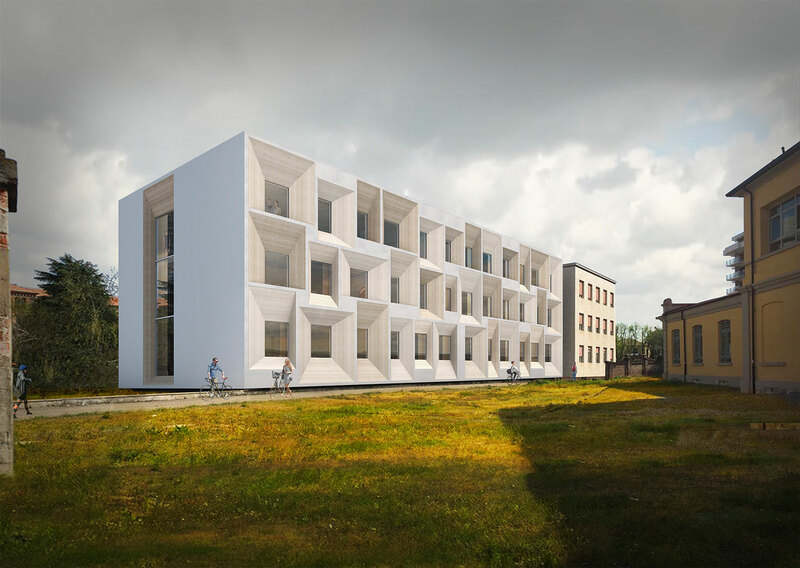 Thanks to the free plan and the absence of fixed partitions between classrooms and distribution, the new layout is characterized by full flexibility and ability to adapt itself to different uses, ensuring continuous passing views through the outside. 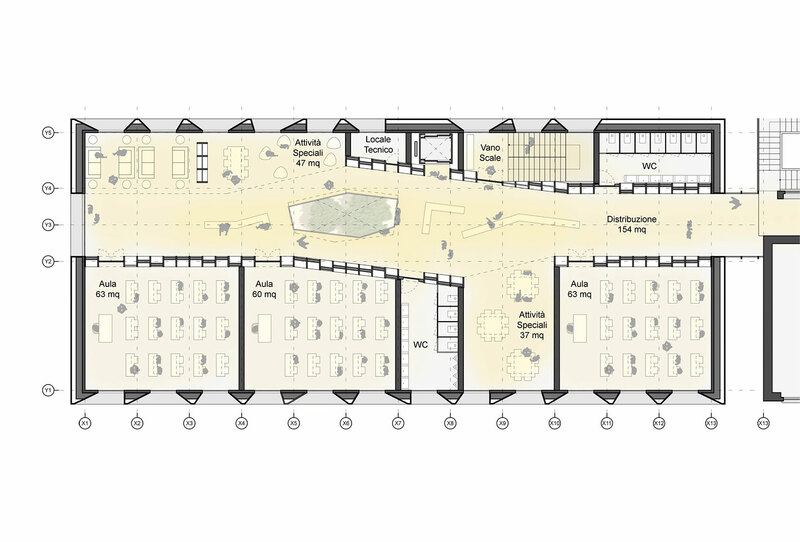 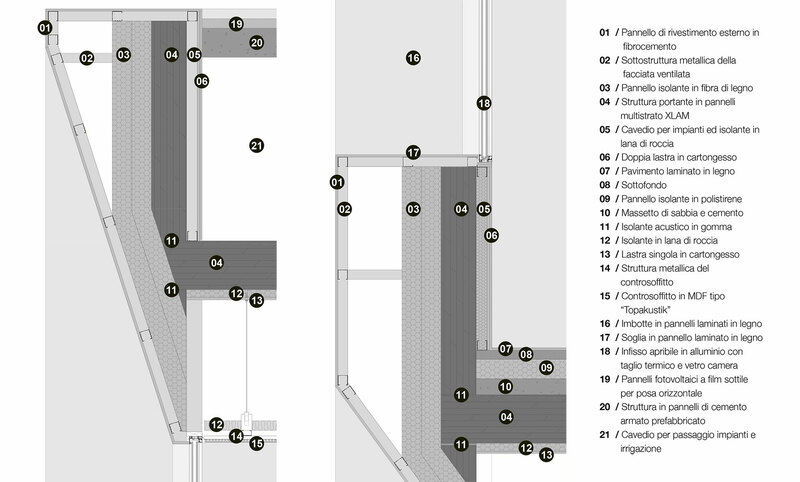 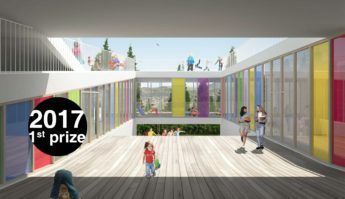 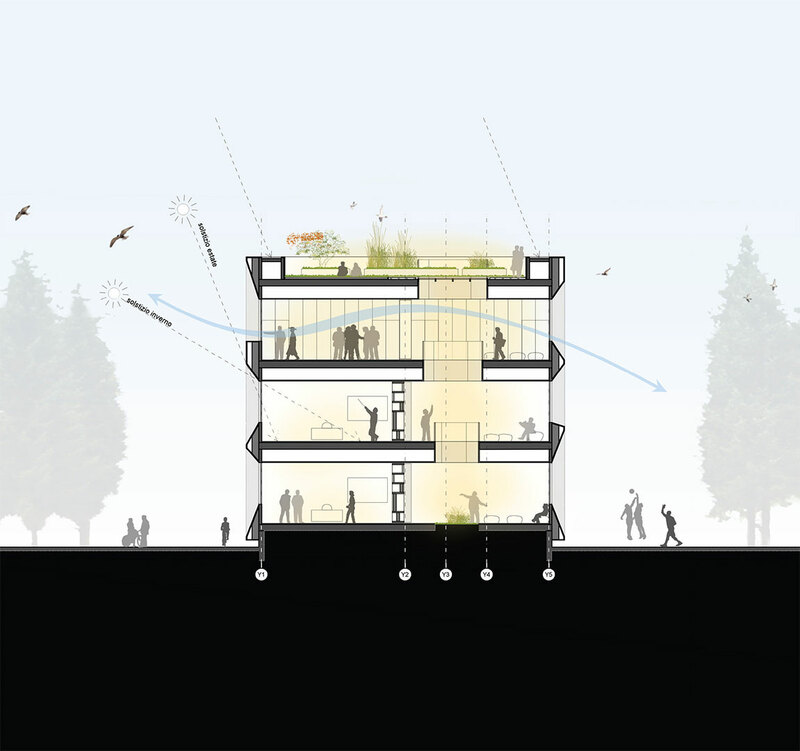 The distribution path is deformed at the center of the building, transforming itself from a traditional corridor into an aggregation space and giving space to the central daylight void and to free activities.